The world is a book, and those who do not travel, have read only a page. Those who love to travel and explore new places are always on the look out for the next best thing, which is why so many are raving about Mammoth Mountain Ski Area, situated in the picturesque northern California. 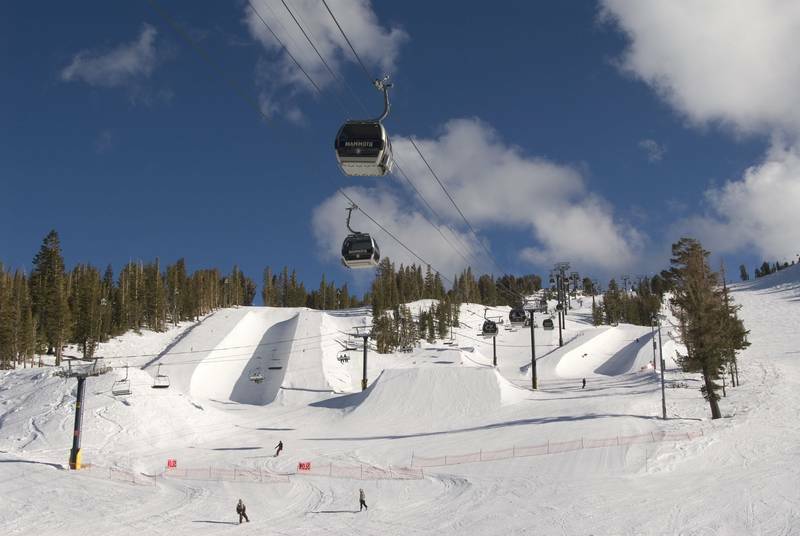 Mammoth Mountain has one of the longest ski seasons in North America averaging from November to June. You can finally put the age old argument of merits of alpine skiing vs. snowboarding to rest, by learning to do both at the ski and snowboard school. The mountain offers 150 named trails 3, 500 areas of skiable terrain, 9 parks for all levels of skills, 28 lifts and 3 gondolas it truly is a snow-lovers paradise. With winter activities such as cross country skiing, tube parks, snowmobiling or the very unique snowcat tours, there is something for everyone. Mammoth Mountain has over 300 days of sunshine a year, so make sure to pack sunscreen or sport the dreaded ‘goggle tan’. After a day of snow play you can relax and sip hot cocoa by the fire in one of the many award-winning ski lodging. With many ski package deals available you can find great accommodations to fit every budget. The Village is right in the centre of the action, imagine skiing down a mountain and going straight to dinner and drinks-however, it may be recommended to take off your ski boots first!. You can even trade in your snow boots for hula dancing and tropical drinks at the mountain tiki bar. However, you don’t have to be a ski bunny to enjoy all that Mammoth Mountain has to offer. Mammoth Mountain is a venue for concert series with many famous bands stopping by to play. In the summer you can enjoy a mountain bike park, the highest golf course in California, horseback riding, fishing and hiking. The mountain scenery is so spectacular that many people choose to make it a backdrop on the special wedding day. Jam-packed with jaw dropping experiences, Mammoth Mountain allows the traveler to check many things from their must-see list. In Mammoth Mountain you got everything you need and I can assure you that you'll enjoy the ski season there.